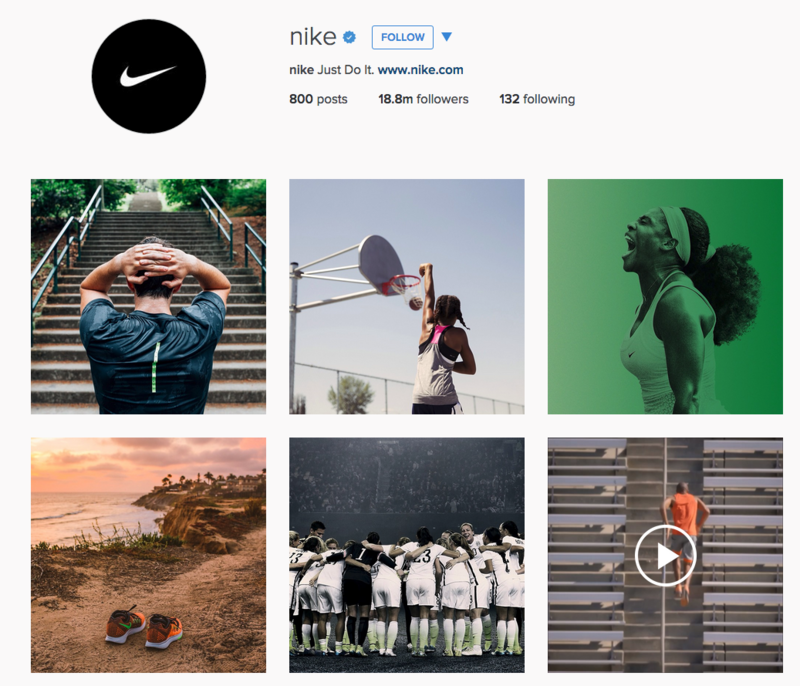 We conclude our Top 5 Sporting Goods Brands on social series with Instagram. 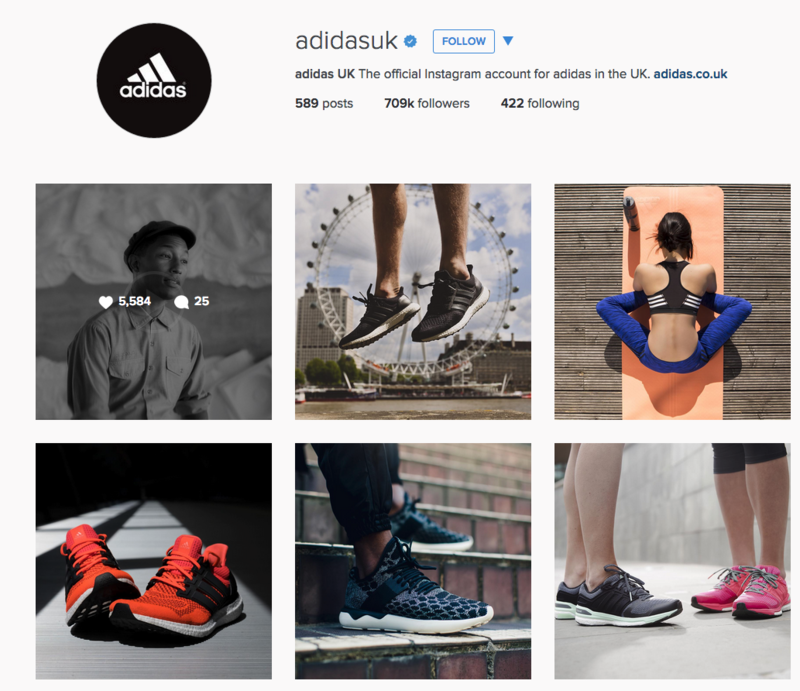 Arguably, there is no excuse for any of these brands to have a poor Instagram presence. They all have millions of pounds budgeted for marketing and therefore they can afford to take some stunning photographs of their products, their athletes and with Instagram, the photo is king. Nothing out of the ordinary from the Nike team. That’s to say, their Instagram is extraordinarily good. It’s so on-brand; elite, never-give-up, successful. It really is a social media masterclass. 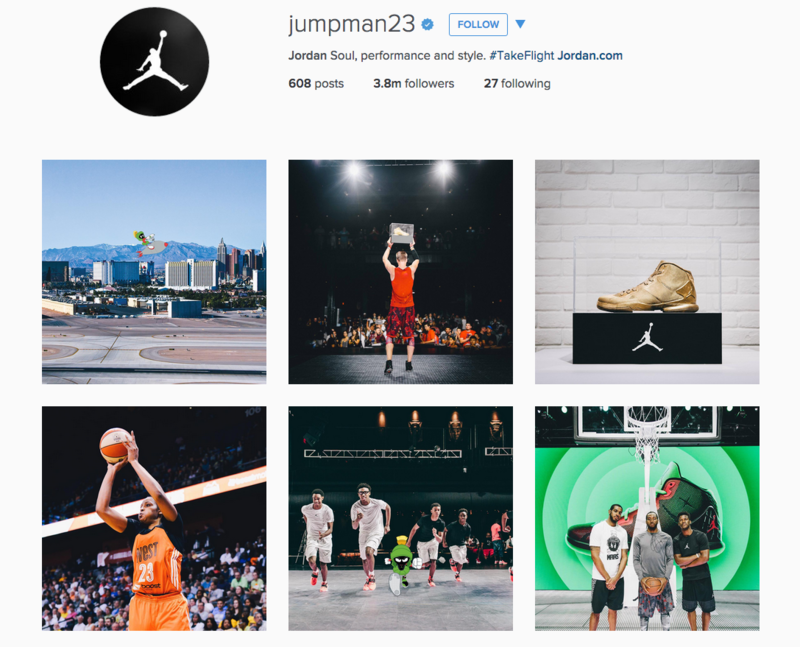 Also one of the few brands to have recently done an Instagram video, making full use of the platform’s capabilities. The number of followers a brand has isn’t everything. In this case, it is indicative of the two big players on social. Adidas are trying, but not quite in the same league as Nike when it comes to consistently pushing out great Instagram content. The Novak Djokovic picture (the one that is highlighted with the number of likes) is a prime example. Look underneath the ‘1.1’. That’s not an Adidas logo. That’s a UNIQLO logo. Adidas are taking advantage of Djokovic’s Wimbledon triumph but instead of showing him clearly wearing adidas shoes, they’re putting Uniqlo’s brand in front of 5m people who could’ve seen their brand. Bit of a blunder, in my opinion. With Puma, I’d say the problem isn’t their content, it’s their balance. It’s very heavily football-focused. When nearly 70% of your content is focused on one sport, you’re more likely to turn off those who would normally follow you if you had a balanced view of your products. Especially on Instagram, where people are, for the most part, much more selective over who they follow and who they don’t. 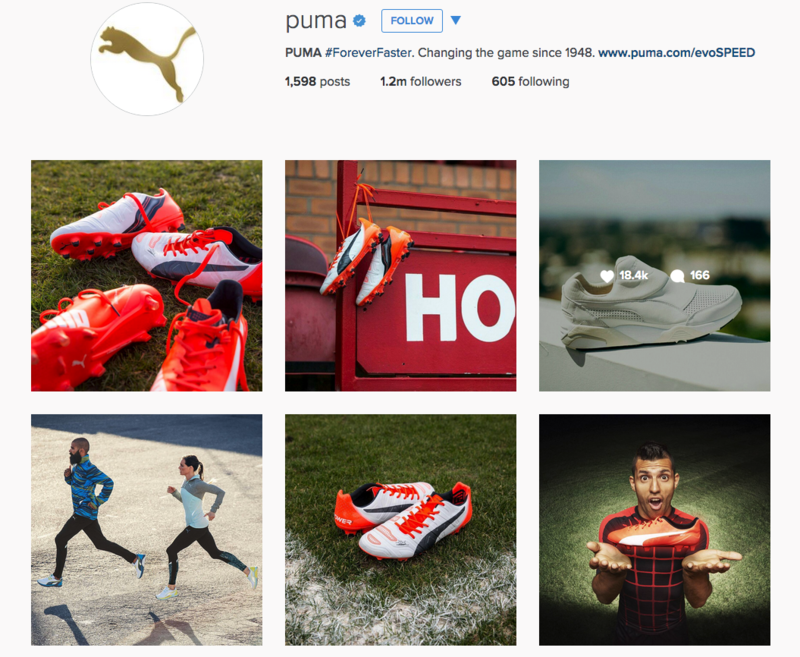 Good use of their brand hashtag #ForeverFaster in the bio, which is searchable on Web, but funnily enough, not on Mobile. Work that one out. 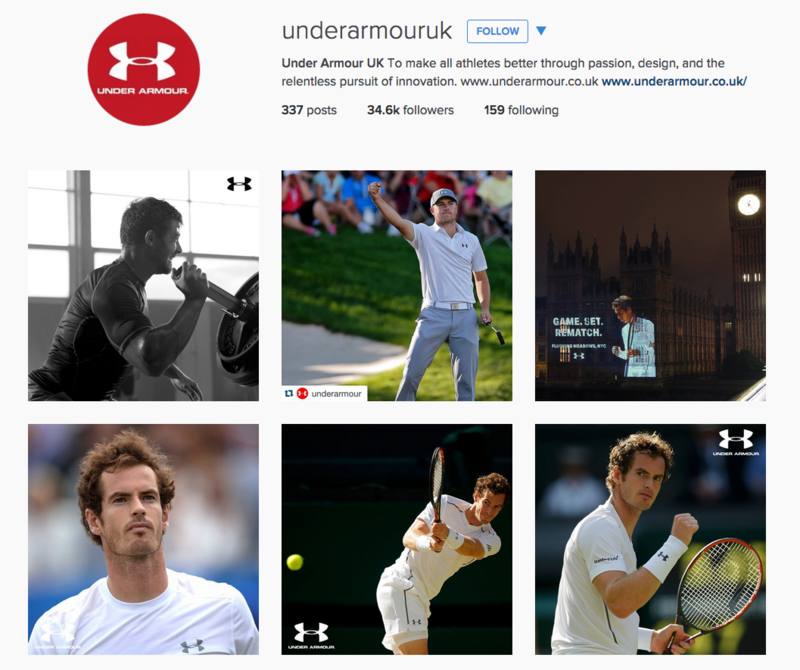 Under Armour seemingly suffered from Murraymania during Wimbledon. Only after it had finished, did they realise they had neglected their other sports and athletes for the first two weeks in July. Bit of an odd logo colour and placement on the bottom left photo. Murray wearing a white shirt and all, then they go put a white logo over the white shirt. Although at least they got lots of photos of him wearing Under Armour gear, instead of a competitor. Yes, I’m looking at you, adidas. They’ve also got their URL in their bio, which isn’t clickable, then they’ve repeated it with the actual URL space. The dark horse of this series of blog posts leaves a little to be desired with their Instagram presence. It’s good, it’s just not brilliant like their Facebook and Twitter accounts. It’s clear they’ve got a Jordan/Space Jam tie-in going on at the moment with the Photoshopped images of Marvin the Martian, as well as some sort of event for the golden Jordan. Again, nice brand hashtag with #TakeFlight. Best of all, they’ve not put in the www. part to their URL, making it look a lot more natural, in my opinion. 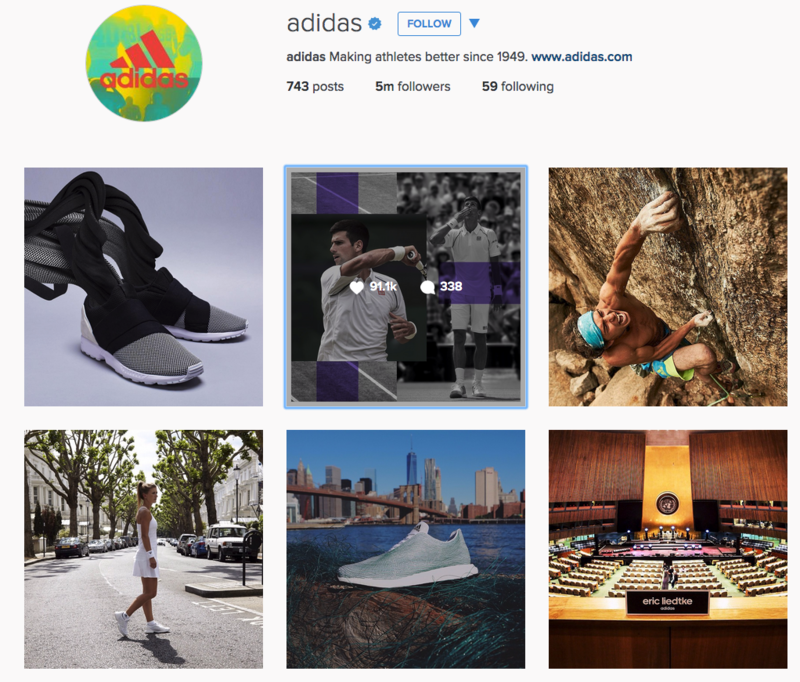 So we’ve gone through these top 5 sporting goods brands on Facebook, Twitter and Instagram. Do you agree or disagree with our assessment? Let us know in the comments below, or on Twitter @VelocityDigi. Want my brain sent to your inbox? Add your email address here! You can also listen on iTunes.